Can you believe it's August already? What the heck happened to summer? Before we know it school will be starting and the morning routine will be in full swing. Thankfully, we have one more beach trip planned to celebrate my son's 5th birthday before we say good bye to lazy summer days. Today I'm over at Carrie's blog, Lovely etc. 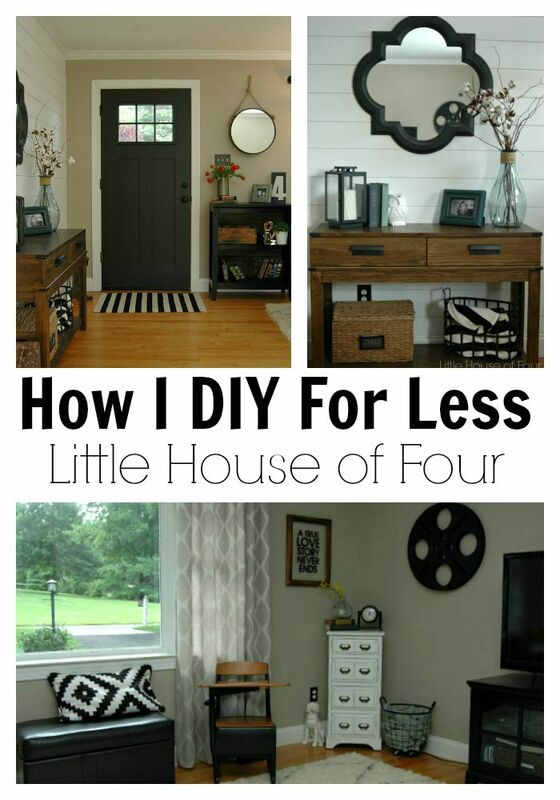 for a fun series about how blogger's DIY for less. I was thrilled when Carrie reached out and asked me to share how I've updated and decorated our home on a budget. I hope you'll head over to her blog, Lovely etc. to get all the details on our recently updated entryway and living room.